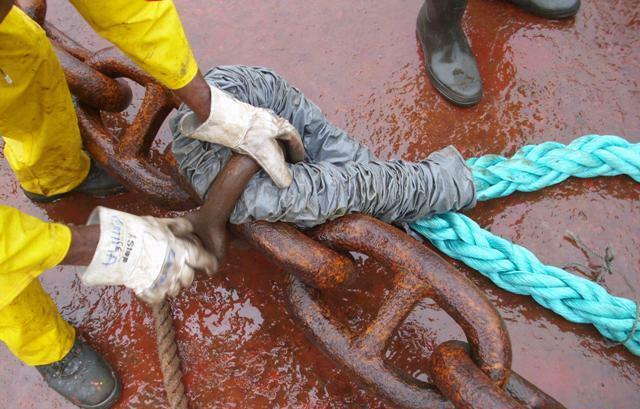 In 2010, FIVE OCEANS SALVAGE undertook successfully 9 salvage operations. 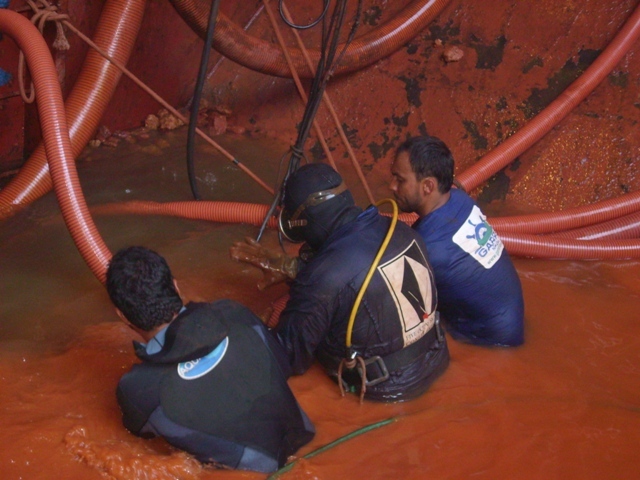 You can scroll down to view details and fotos of the operations. 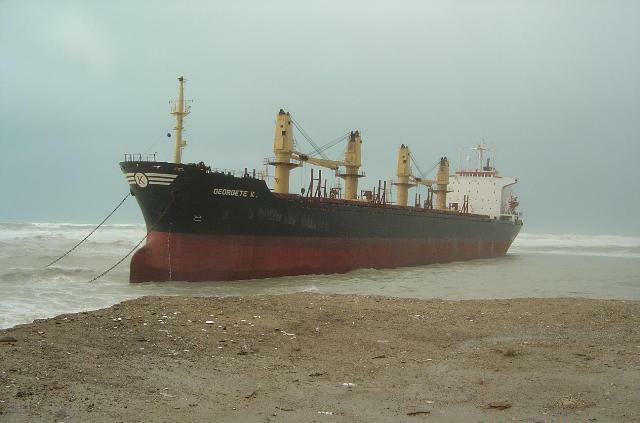 The bulker GEORGETE K (35,000DWT, built 1984), in ballast, run aground in Alexandria on 12th December 2010. 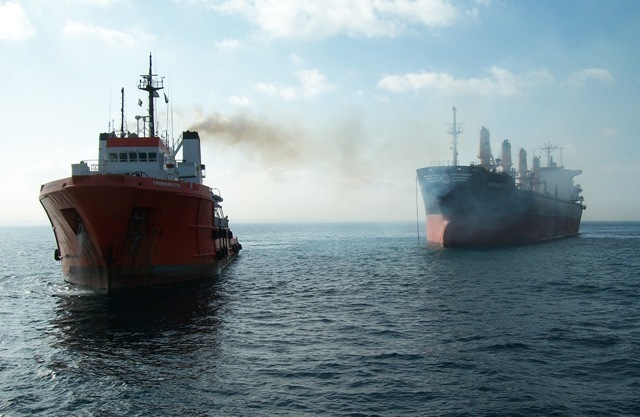 FOS signed an LOF with owners and mobilised tug CARIBBEAN FOS from Piraeus together with antipollution vessel AEGIS and a salvage team to assist. 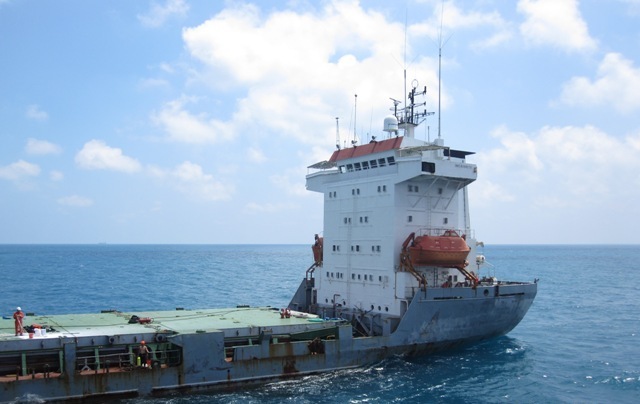 On 13th December salvors invoked SCOPIC and after casualty’s refloating on 23rd December, salvor’s CARIBBEAN FOS towed the casualty to Piraeus where she was redelivered to her owners on 28th December 2010. 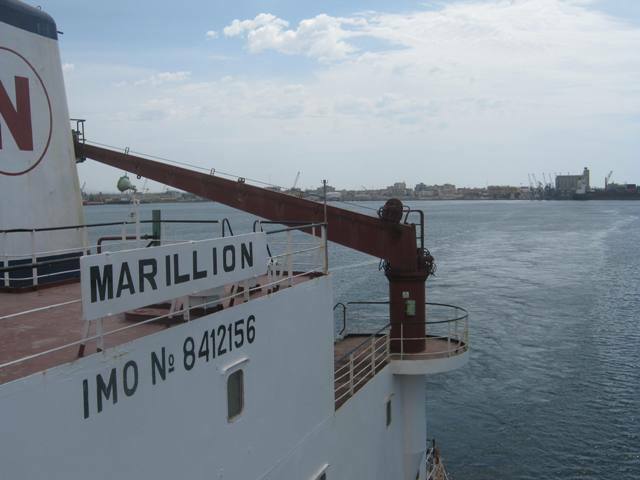 The bulker MARILLION (41,796DWT, built 1986) run aground off Lobito Port, Angola, on 29th November 2010. 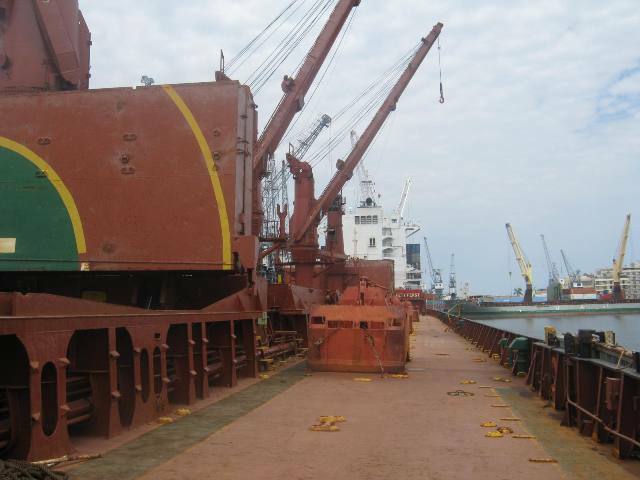 The vessel was laden with 39,500mt of bagged cement for Lobito, Luanda and Matadi. 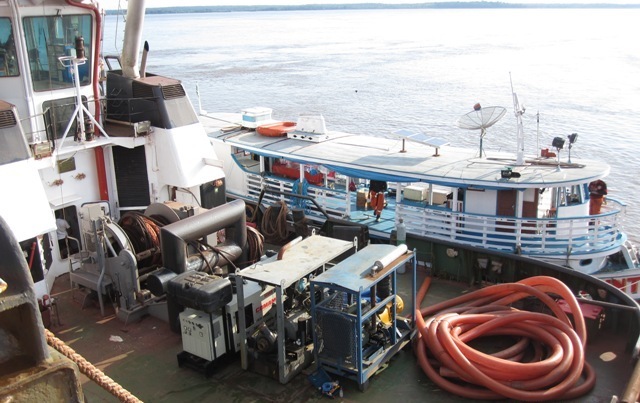 FOS was awarded the LOF same day and mobilised a local SOS salvage master and a diving team from Namibia to assist, until the arrival on site of a Salvage Master and team from Greece. 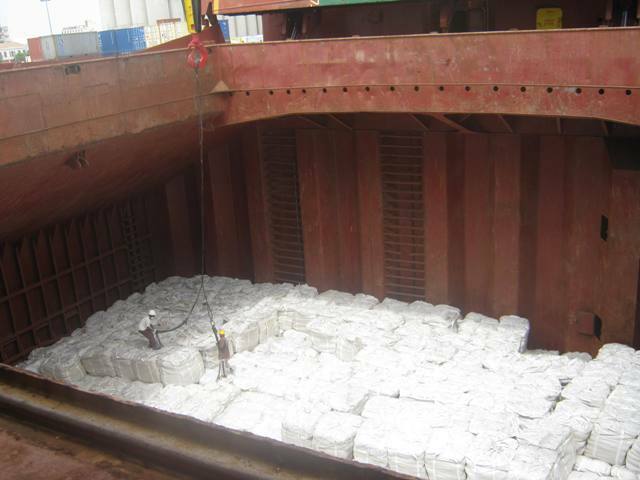 Part cargo was lightered using local means and the vessel was successfully refloated with the assistance of subcontracted tug IMKENTURM on 04th December 2010. 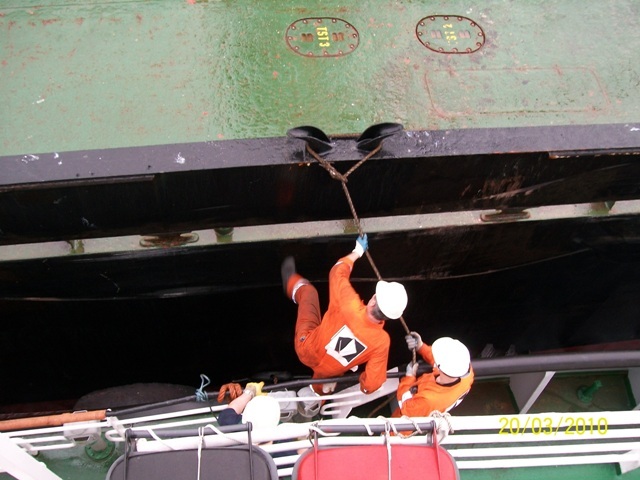 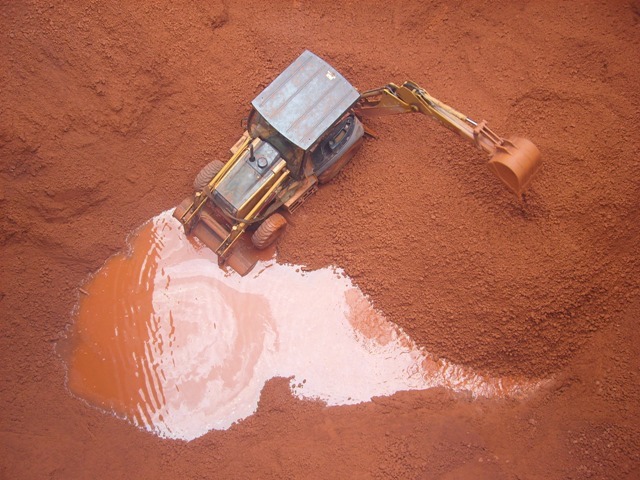 Salvors temporarily repaired the casualty’s bottom damages and restored water tightness. 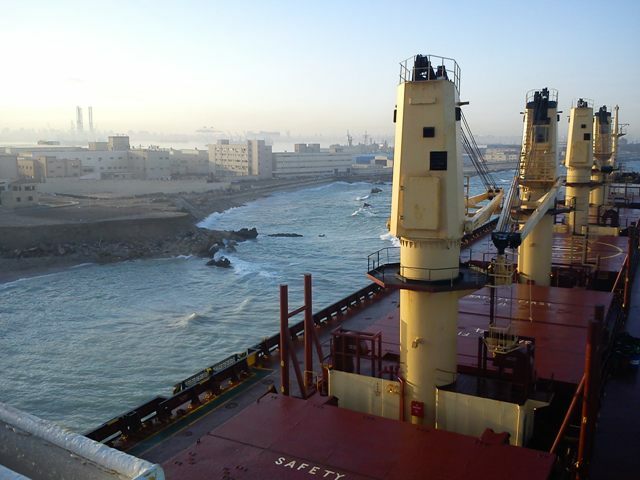 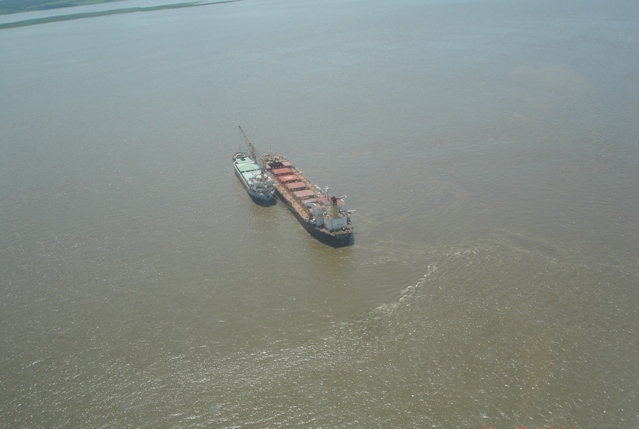 Casualty was eventually redelivered on 22nd December at Luanda anchorage. 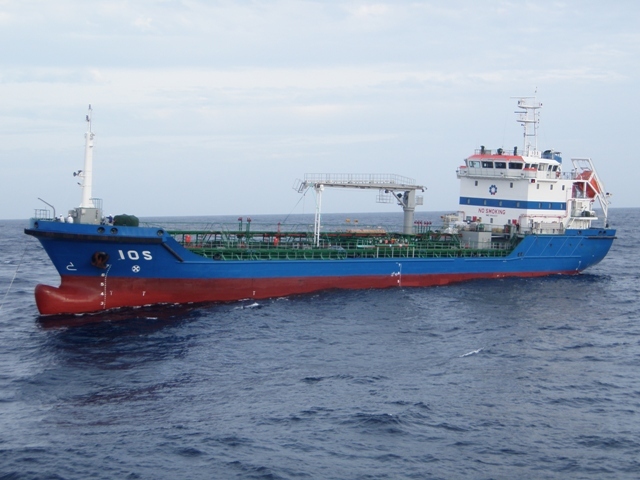 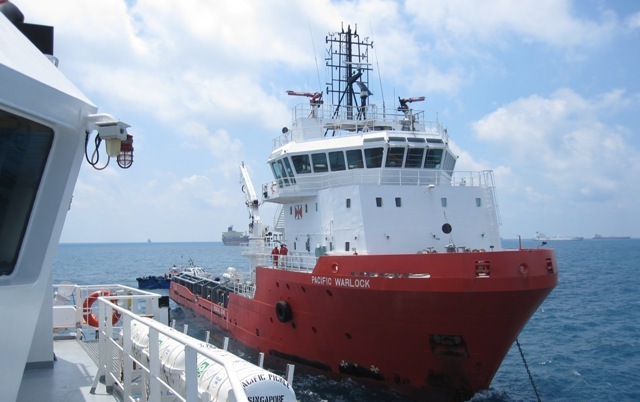 The motor tanker IOS (4,600DWT, built 2010), in ballast condition, was immobilised in the Indian Ocean due to main engine failure, during her maiden trip from Singapore to Jamaica. 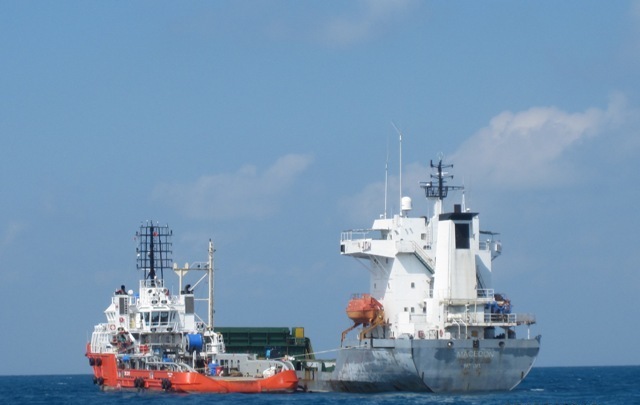 Five Oceans Salvage signed an LOF with owners on 28th September and mobilized tug MAHA OYA from Colombo and AHTS CORAL SEA FOS from Singapore to assist. 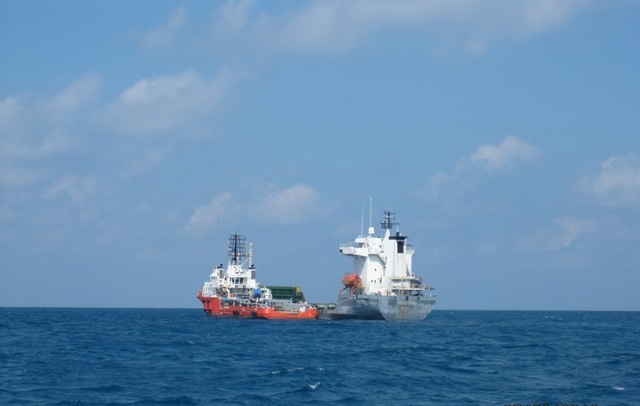 The MAHA OYA arrived at the casualty’s location on the 3rd October and started towing her to the direction of Singapore in order to meet the CORAL SEA FOS. 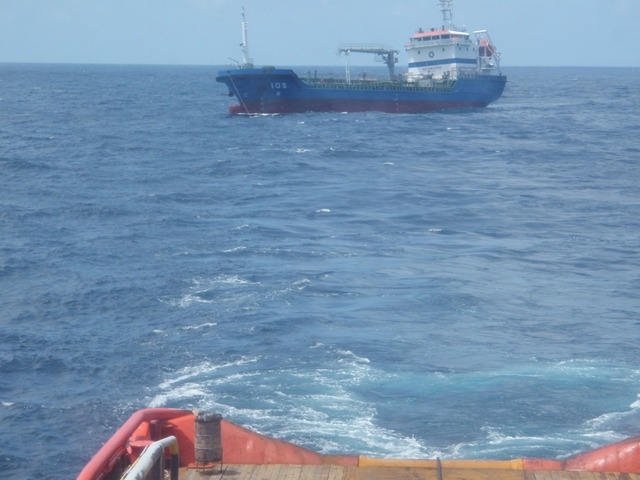 The convoy and CORAL SEA FOS met on 07th October, the tow was handed over to the CORAL SEA FOS and MAHA OYA was demobilized. 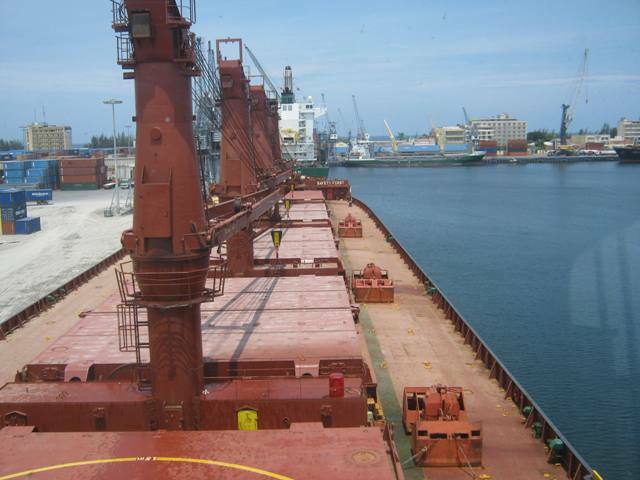 Vessel was redelivered on 17th October to her owners in Singapore. 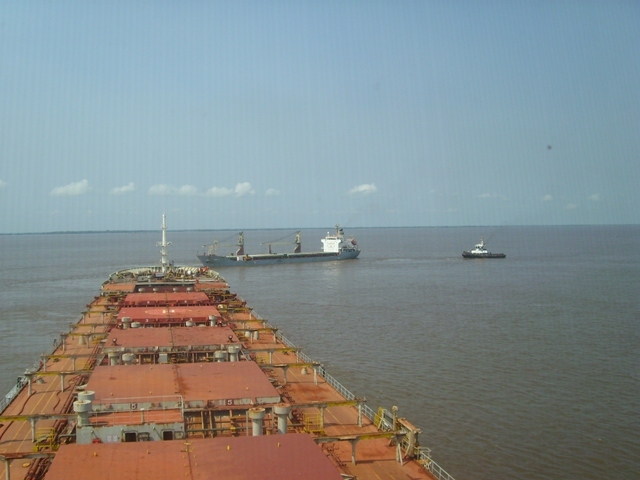 The bulker ST EFREM (15,134DWT, built 1977) laden with 14,000mt of bagged sugar suffered from auxiliaries failure and blackout off Santos, Brazil. 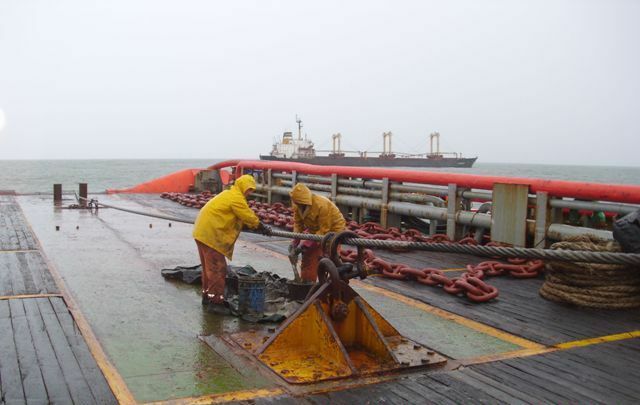 Five Oceans Salvage was awarded the LOF contract on 04th August 2010. 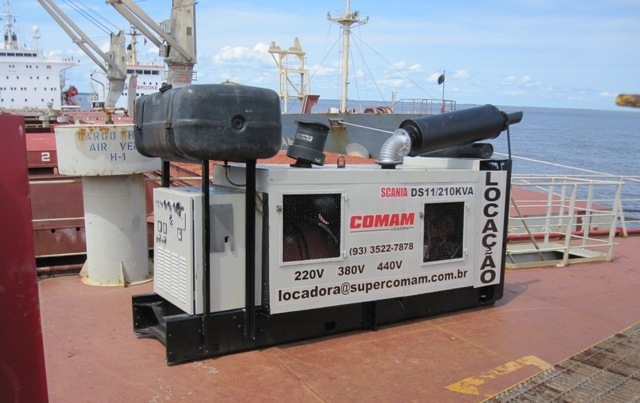 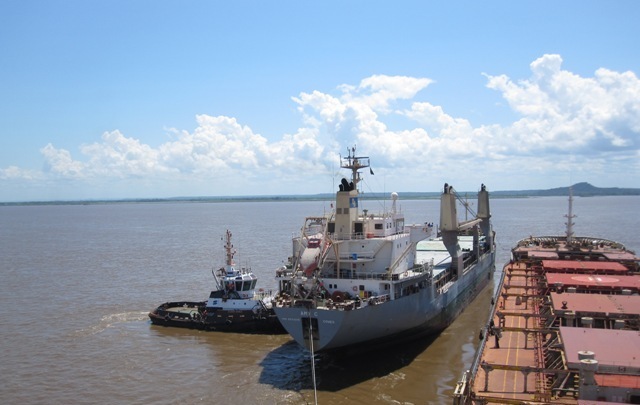 FOS mobilised the port tug PEGASUS from Santos to standby the casualty at anchor off Brazilian territorial waters while a local salvage team was engaged to attend the vessel and supply portable generators to restore some basic power onboard. 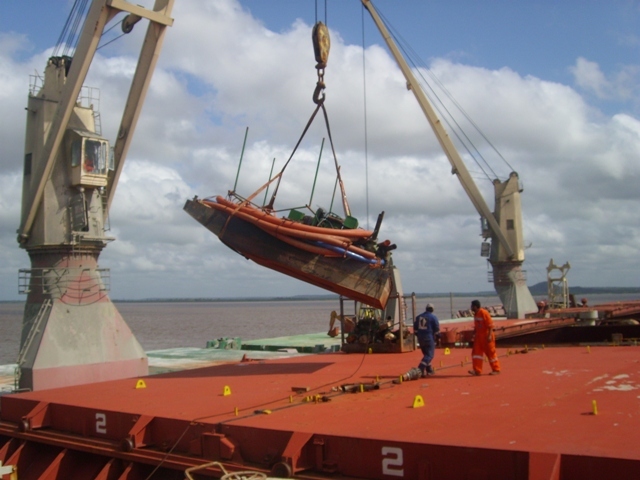 Salvors also mobilised tug AHTS RED SEA FOS from Abidjan to tow the casualty to her destination port, Abidjan, where she was redelivered to her owners on 24th September 2010. 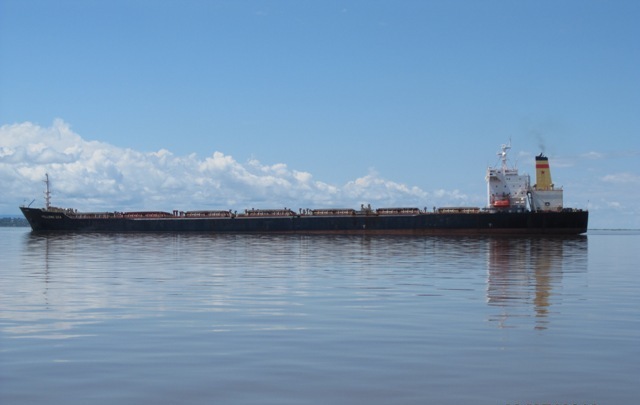 The bulker HELLENIC SEA (65,433DWT, built 1991) laden with approximately 40,000mt of bauxite run aground in the Amazon River, Brazil. 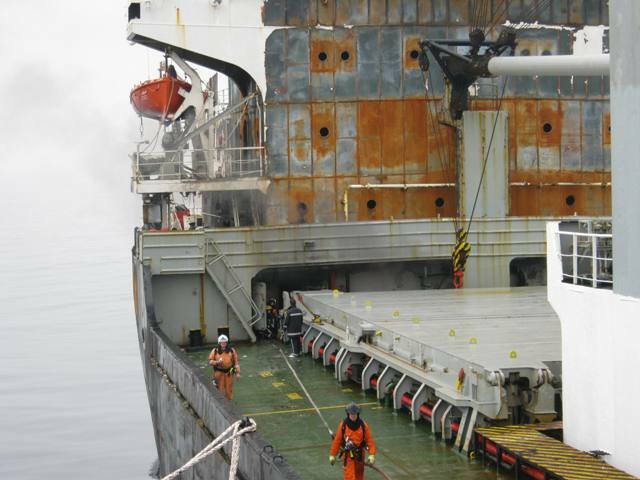 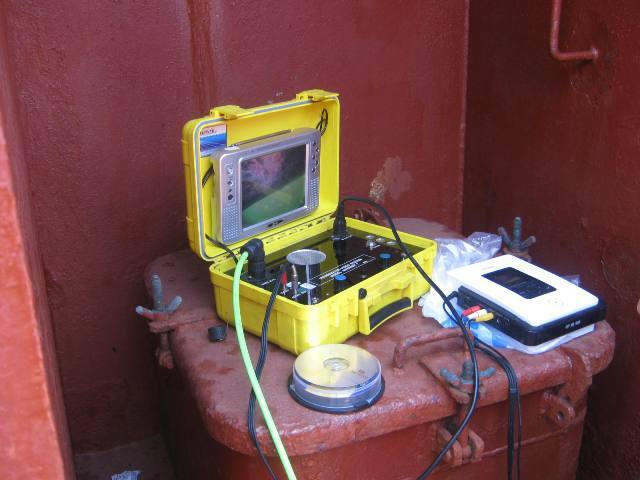 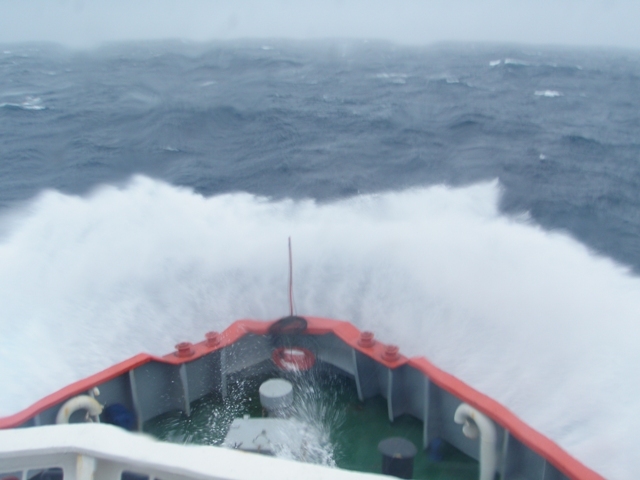 Five Oceans Salvage was awarded the LOF contract on 18th July 2010 and mobilised a salvage team from Greece. 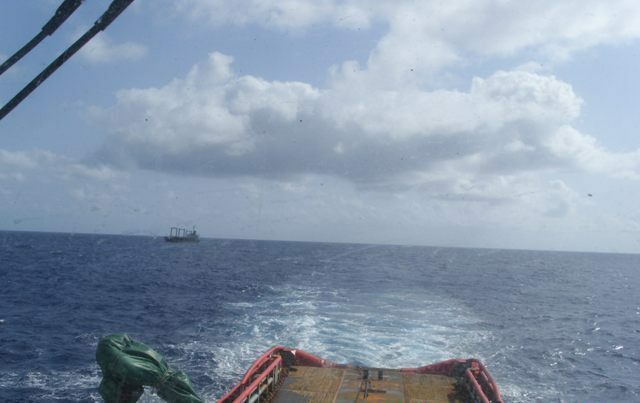 Salvage services were rendered by using a local port tug, a Navy tug and lightering vessel AMY C. Around 20,000mt of cargo were transhipped before the vessel was successfully refloated and taken to the discharge port of Belem where salvors performed bottom repairs prior to redelivery of the vessel to her owners on 22nd August 2010. 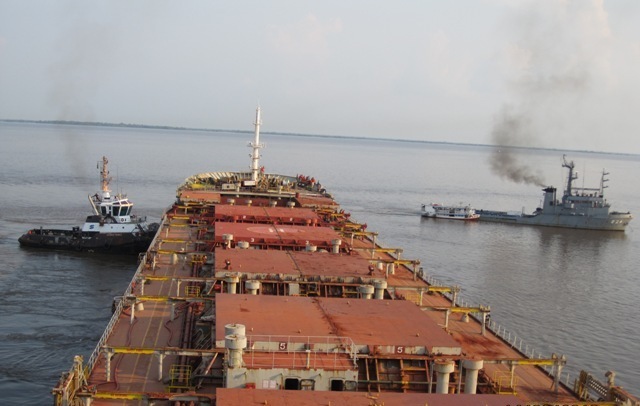 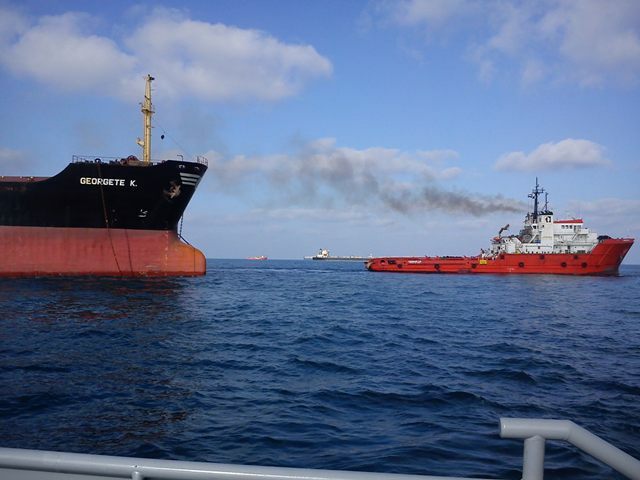 The bulker THEODORE JR (18,612DWT, built 1983) laden with 17,000mt of rock phosphate had a fire break out in its engine room about 24 nautical miles east-north-east of Ceuta on 19th March 2010. 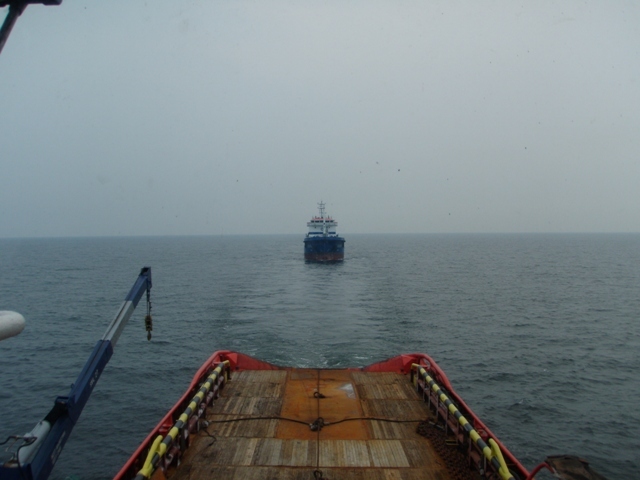 LOF with SCOPIC invoked was signed same day. 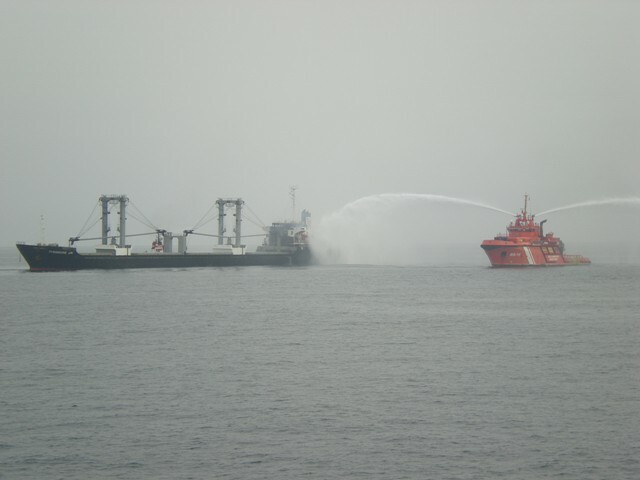 FOS mobilized own fire fighting tug MED FOS and local tug SUGAR DOCE from Gibraltar, as well as fire fighting tugs GOLFO DE SIAM from Ceuta and CERTOSA 18 from Algeciras to assist. 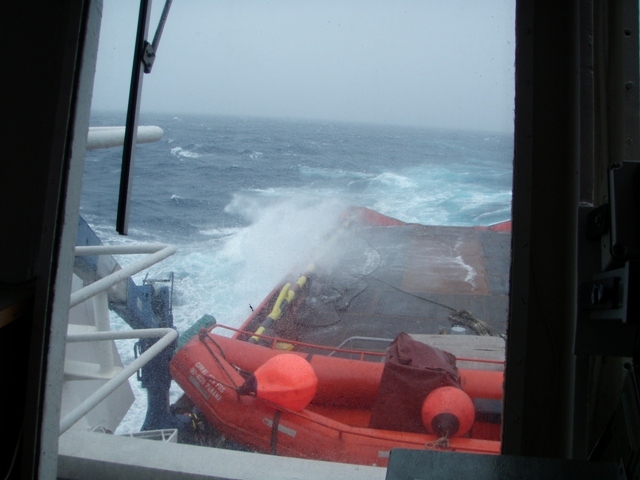 A salvage team was mobilized from Greece together with fire fighting teams from Holland and Gibraltar. 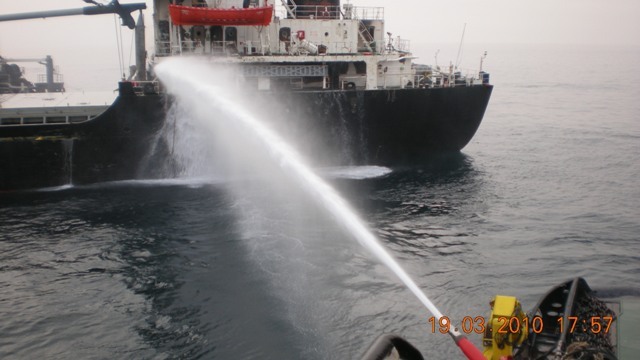 The fire was extinguished and salvage team and all hired tugs demobilised on 21st March. 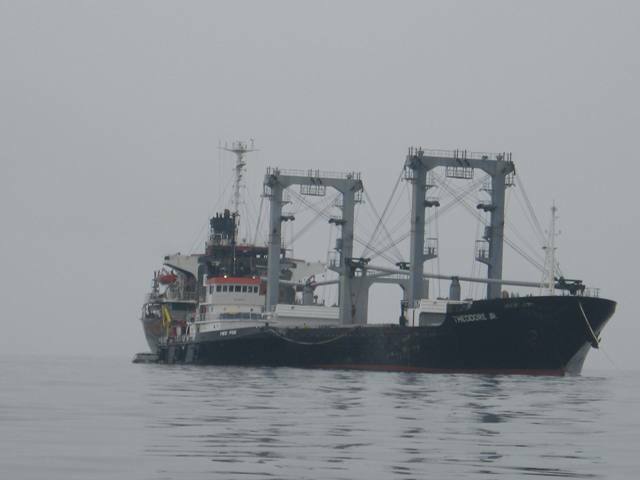 The casualty was towed to Piraeus by salvor’s tug MED FOS where she was redelivered to her owners on 06th April 2010. 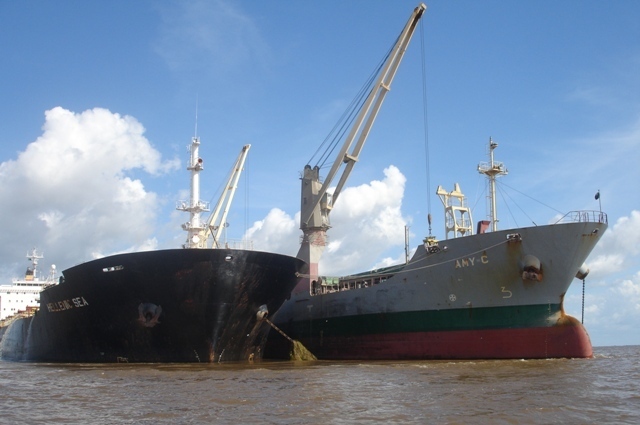 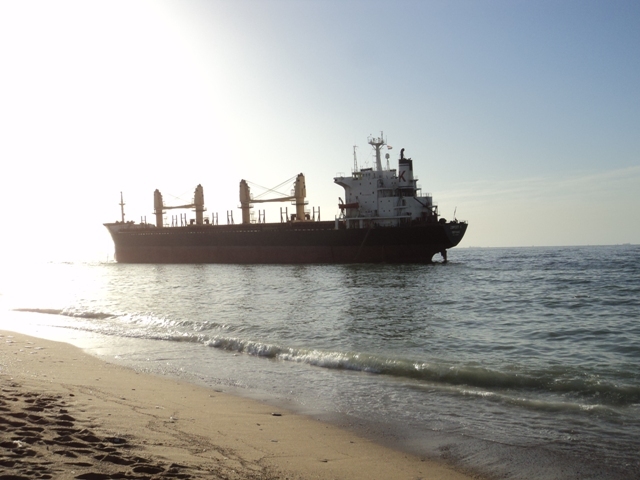 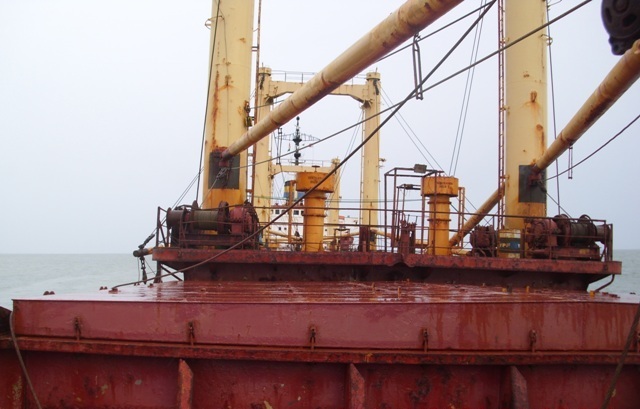 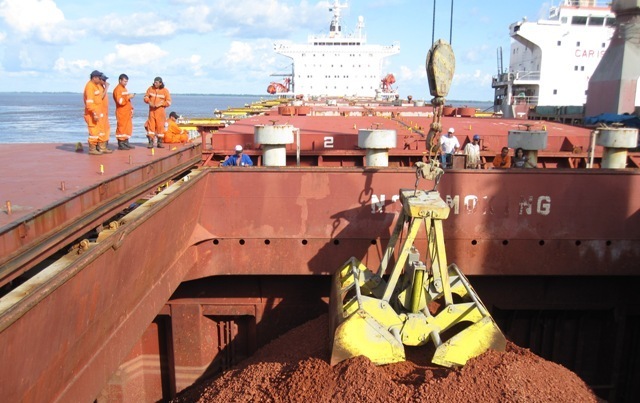 The bulker AGHIOS MAKARIOS (88,000DWT, built 1987) laden with 77,832mt of fertilizer was immobilized south of Diego Garcia, Indian Ocean due to machinery failure. 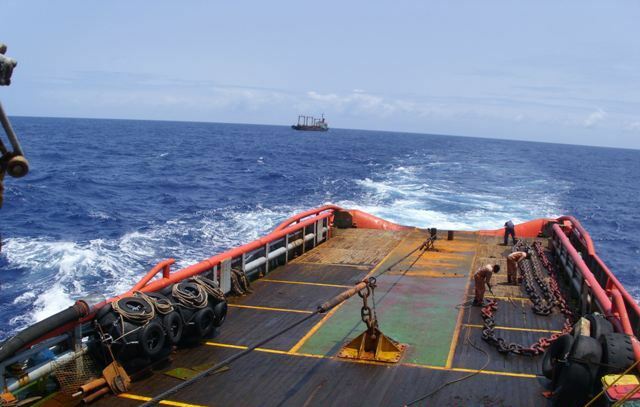 LOF was signed on 01st March 2010 and FOS mobilized CORAL SEA FOS from Colombo, Sri Lanka to assist. 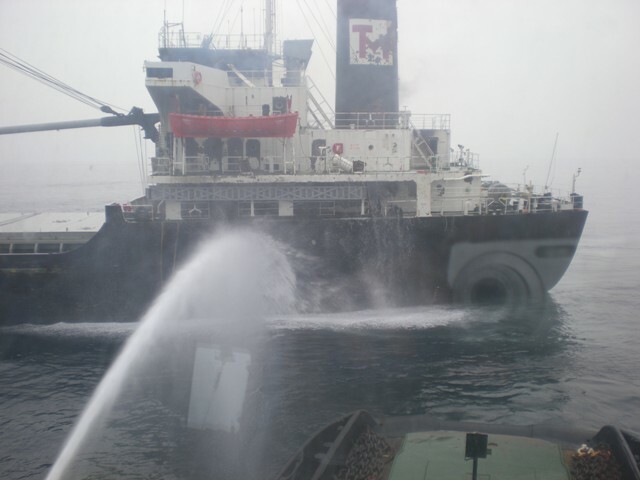 Tug made fast to AGHIOS MAKARIOS on 05th March 2010 and towed the casualty to Colombo where she was redelivered to her owners on 13th March. 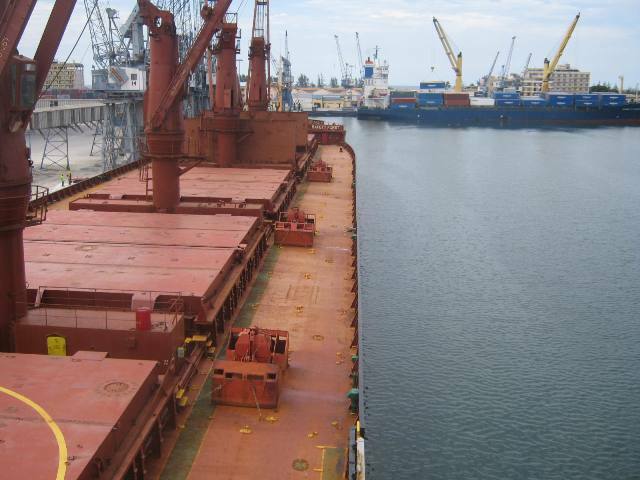 The containership MACEDON (6,100DWT, built 1983) suffered water ingress while at anchor at Singapore anchorage laden with 4,000mt of steel plates. 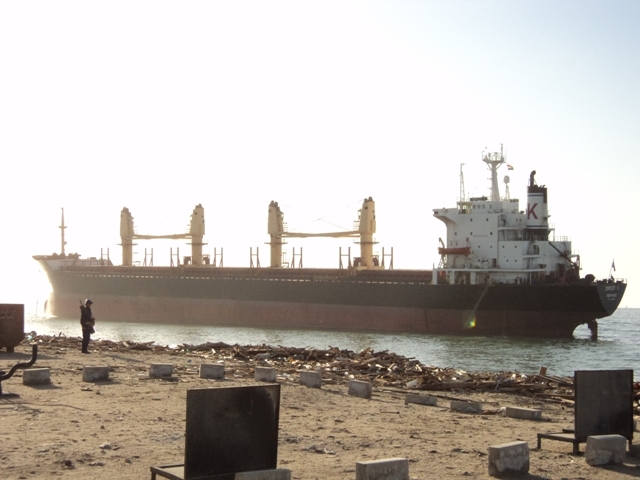 LOF was signed with SOS on 02nd February 2010. 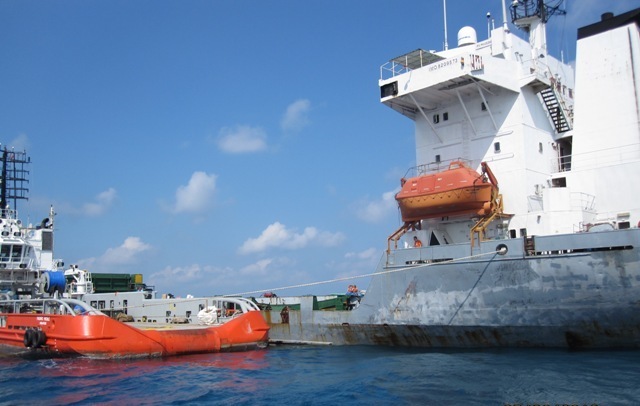 Salvors mobilized tugs PACIFIC WARLOCK and PACIFIC PICKLE from their Singapore salvage station to assist. 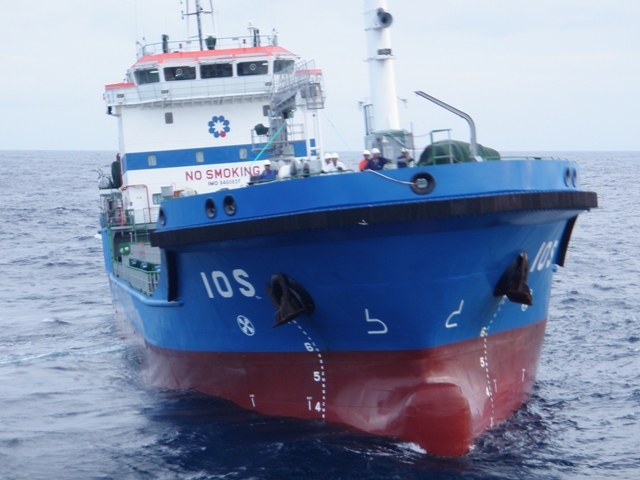 SOS also mobilized two salvage officers from Athens, Greece to attend the casualty. 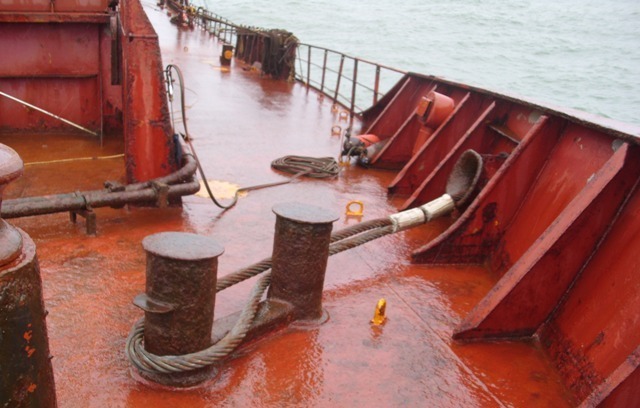 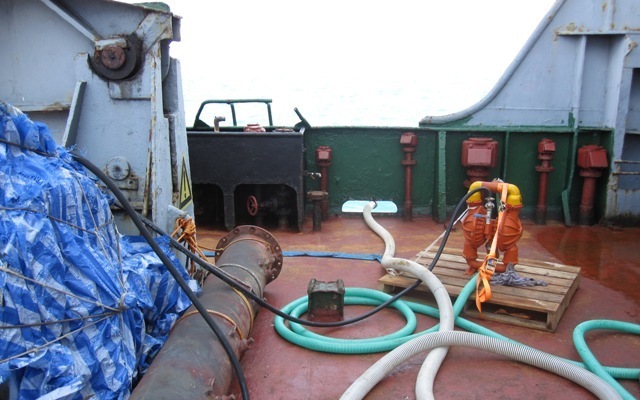 The vessel was patched, pumped and on 19th February was redelivered to her owners.